Living with painful, bleeding gums? Would you like to have a whole, healthy mouth and smile? To find periodontal disease, we perform a thorough examination with a periodontal probe and x-rays. 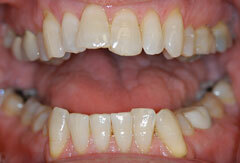 Periodontal probing measures the depth of the space between your teeth and gums. When you have periodontal disease, these spaces are called pockets. 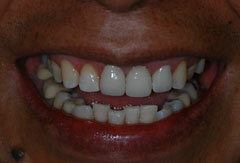 We measure the pocket from the bottom of the pocket, where it's attached to the tooth, to the top of the gums. A probe reading of more than three millimeters is a sign of periodontal disease. 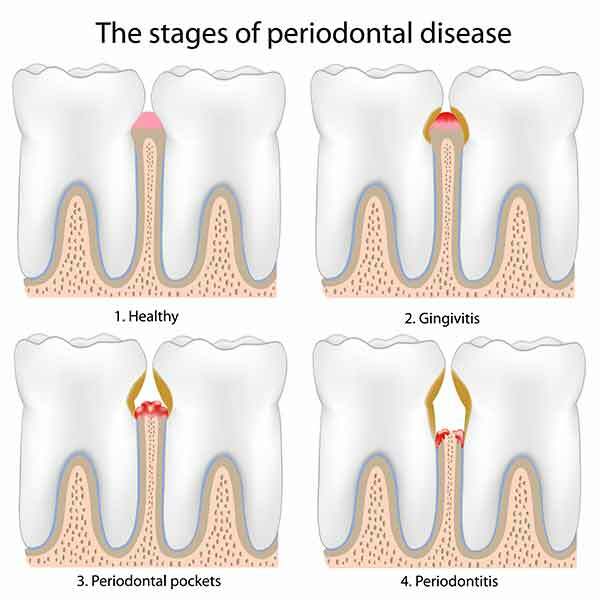 In general, the deeper the pockets, the greater the spread of periodontal disease. Once we've found periodontal disease, we'll talk to you about treatment options and proper homecare to minimize bone loss and restore the health of your gums. In general, a professional deep cleaning and sometimes surgery may be recommended. 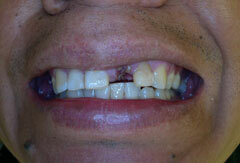 Dental implants may be an option for people who have lost a tooth or multiple teeth due to periodontal disease.